There’s the Movie Theatre which doubles for a lecture venue. 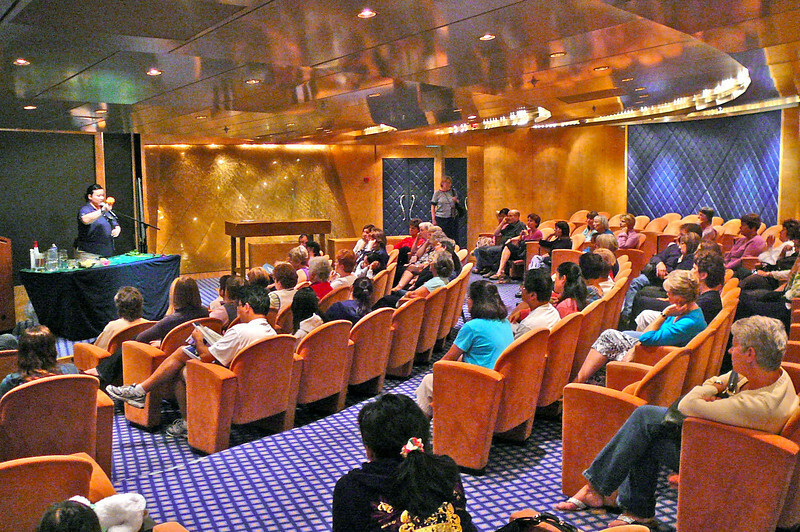 A great thing about Cruising is all the things you can learn at the lectures they have throughout the week, many for Free. This one had to do with Floral arranging... they have some on Cooking, Computers, Destinations you're visiting, Dancing lessons, etc.